This lioness has revealed herself, everybody is exposed and so there’s a bit of a stalemate going on here. Who is going to move first? 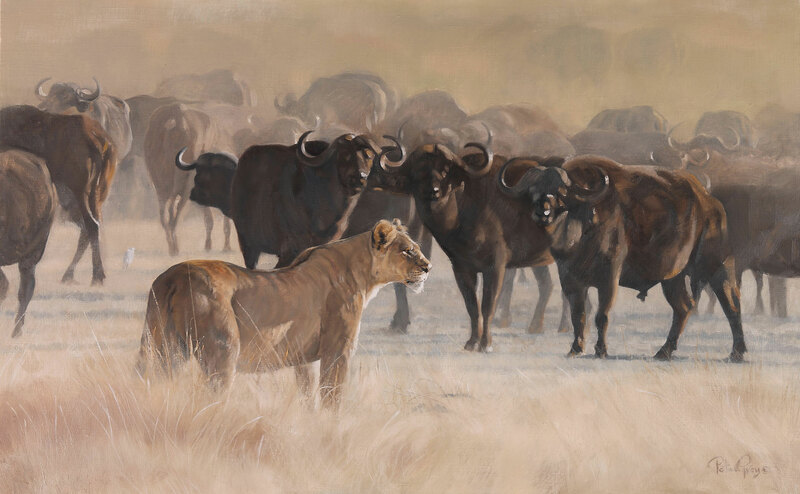 If the buffalo start running, the lioness will take chase, but if they stand like this, it’s likely that the lioness will just lose interest and slink away.